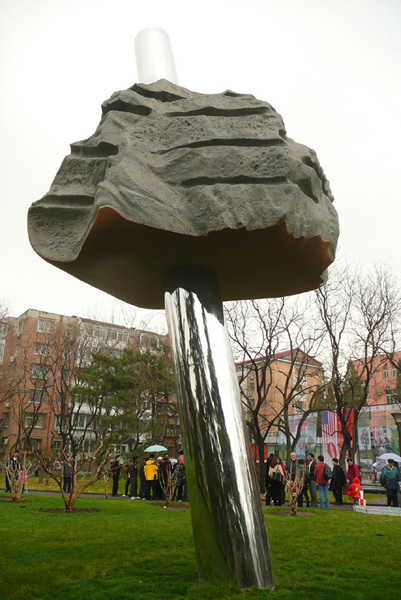 CLOUD & RAIN, c 2009, stainless steel & stone, 15 ft. hi., Commissioned for the China-U.S. Peace & Friendship Program. Installed in Wanshou Park, Beijing, China. copyright 2008 Jon Hudson - Hudson Sculpture, LTD. All rights reserved.